The queen of surprises strikes again! Beyoncé announced on Wednesday, February 1, that she&apos;s pregnant with twins, and the timing of the baby news was strategically planned, a source exclusively tells Us Weekly. "She announced it this way before Grammy fittings and rehearsals, as she knew it would get out," the insider tells Us. "She couldn&apos;t repeat the same debut on the show like the  VMAs and didn&apos;t want it to take away from her Grammy wins and performance." As exciting as the pregnancy news may be, Beyoncé, 35, wants the spotlight to be on her work and album Lemonade at the February 12 awards show, rather than her personal life. "She wants Grammy night to be about celebrating the album and her work," the source adds. "Now she can get ready and perform on Grammy night without all the attention going to this." The 20-time Grammy winner announced on Instagram that she and husband Jay Z are expecting twins. "We would like to share our love and happiness," she captioned a shot of herself holding her baby bump, surrounded by a beautiful floral arrangement. "We have been blessed two times over. We are incredibly grateful that our family will be growing by two, and we thank you for your well wishes." 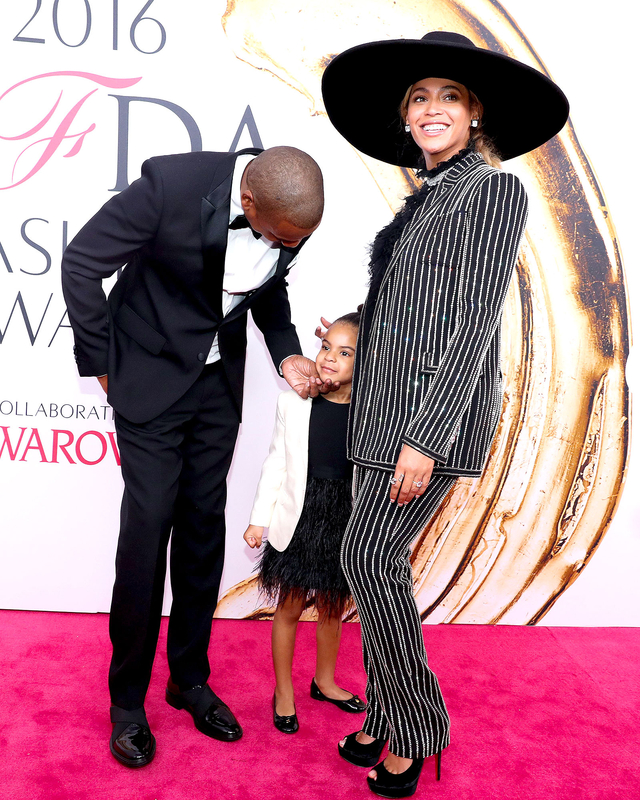 The couple, who married in a top-secret wedding ceremony in New York City in April 2008, are also parents of 5-year-old daughter Blue Ivy, who is often the star of her mom&apos;s Instagram posts. "They are ecstatic," a source tells Us. Beyoncé is scheduled to perform at the 2017 Grammy Awards on February 12. She is nominated for nine awards, including Album of the Year for her successful visual album Lemonade.